Last summer I began writing down my thoughts on RPG-style game inspired classrooms into a manuscript. I even finished a few chapters over the summer. Below is an excerpt from the raw (painfully so) manuscript chapter on the XP Grading overview. To set up the passage please note that I use experience points (XP) as my grading system. I have noticed over the last year or so that many gamified teachers use XP the way I use ‘gold’; as a behavioral tool orbside game reward. 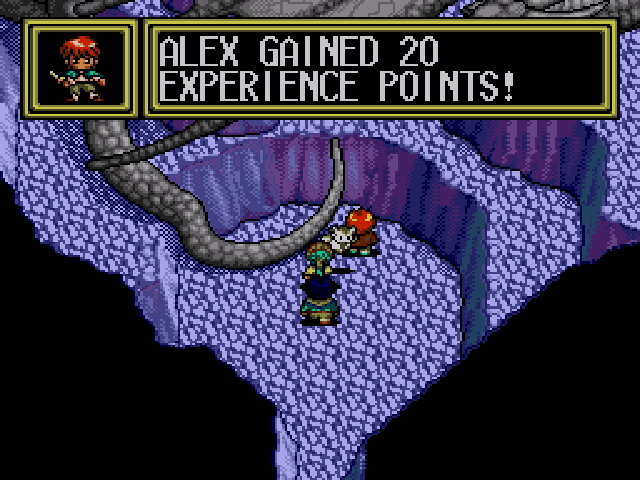 In a traditional RPG OR MMORPG the XP Leveling Up system is central to the gameplay experience and illustrates the progress (or growth) of the player more effectively and efficiently than any other tool in the designer’s toolbox. Since teachers are largely stuck with giving grades I have found that XP grading is the most effective tool for showing student growth (especially when paired with mastery learning) and for allowing students to individualize their experience. The excerpt below is taken from the 2nd chapter of my manuscript and is the subsection and last 1/5 or so of the text. Every student begins at at level 1 with Zero XP. When a student enters the class they have not demonstrated competency with any skills or content. The syllabus (or “game manual”) should publish the XP-level-Letter grade chart. Students need to have a clear expectation of how to achieve the grade that they would like in the class. While in an RPG the levels may not be published up front the game play will naturally give the player a feel for the XP per level. Players go on quests or defeat enemies to achieve XP. Any activities that are normally graded or the teacher would like to incentivize can be included as ways to earn XP. In the next chapter I offer some guidelines but as a rule of thumb the majority of the XP should come from competency based learning activities. Experience cannot be taken away (mostly) and grades only go up. Once XP is earned it should not be taken away. This removes the punitive aspect of some grading systems. I have two exceptions. The first is cheating, especially plagiarism, as it means the XP was gained without a true demonstration of mastery. The second is a requirement in my district that a final exam must count for 20% of the average. Because of this rule the XP grade can only count for 80% of the average and the final might pull down an average. You might find a need to improvise a similar system based on your legal requirements. Make students aware of XP value before assigning the work. I argue that students need to have choices in their assignments. Publishing XP value before the assignment begins allows students to make meaningful choices. XP weighted according to difficulty or value. There is no hard and fast rule as to what is most important in a classroom; however as a rule more difficult assignments should receive more XP. One caution: some students will grab for higher XP even though their skill level is high enough for the challenge. This will require some conferencing and understanding of “Flow”. Teacher determines the XP value of the assignment (mostly). Again, there is now rule as to the value of an assignment. Each school/district/state might have rules about what assignments are required and how much it should be weighted. Also, I sometimes allow students to negotiate XP value; especially when they unlock the “Choose Your Own Adventure” option. Develop a system for student XP awareness. Students should be aware of their XP count and level at any given time. Knowing how close they are to the next level can be a motivation. It also helps with parent/teacher/student communications. A student should be able to reach about a level every 1-2 class meetings. Celebrations are important. This can be a simple as a congratulations from the teacher for gaining a level or as elaborate as a rank promotion ceremony with music and a photograph. The important thing is to recognize the students’ persistence and competence in achieving. Shows progress throughout the grading period. Unlike traditional grading systems, XP grading gives an illustration of progress and growth. This will help the teacher describe to the student how far the student has developed in terms of the necessary skills and content acquisition for the class. Grade ONLY goes up. Students love the fact that their grades are locked in and that they will never go down. It is also essential to show progress. Even poor students see improvement. Every student can set a target for what grade they would like and can then create a plan to achieve that score. It is motivating because the XP needed to level up is always within reach. It is a fair. Knowing the amount of XP for each assignment combined with clear expectations for how to demonstrate mastery of that task allows students set their own path. Good write-up, I’ve advocated similar systems for years. However, I find there’s a fundamental problem in the most basic architectures – such as this one – which isn’t that easy to address appropriately. Namely, XP grading with cumulative XP gains on a predefined scale is, essentially, summative assessment. Which is… problematic. Student X takes a math class, covering the topics of percentage calculations, statistics, and basic algebra in that order. The student’s final grade is the averaged sum of their assessments distributed throughout the course. So, if they scored a 50xp on percentages, and then got 100xp on both the other two, the first score will still end up pulling them down *even if they have actually improved beyond that score since then on that topic*. Summative assessment is fundamentally inaccurate. It is extremely naive to think that the assessment made of the student early in a course is at all representative of the the student’s skill on that topic at the end of the course. Any attempts to improve grading practices should address this. This isn’t a problem that’s easy to handle. The most thorough solution I know of is mastery-based assessment, and it is also my favoured solution. It combined seamlessly with XP grading, but breaks down the XP scales by specific learning objectives, and does away with work deadlines and scheduled assessments (apart from the final assessment, where relevant). I think that may have missed some of my practice in this post. I also advocate for mastery based grading and the majority of what happens in my class is formative. XP grading doesn’t need to be percentage based which may be the impression given here. Students work on their demonstration of a skill or content until they show the mastery – then they earn the XP. This does help solve the problem of a low grade in the first part of the semester pulling an average down. I have predetermined levels but offer more points than necessary and students can redo assignments until they show mastery.